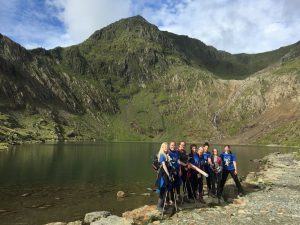 Undeterred by a previous postponement due to bad weather, a team of six Year 10 girls and three staff members set off to climb Mount Snowdon in order to raise money for the Harley Jae Trust charity. Bella Bailey and Erin Kingsley organised the whole thing after seeing the devastating effects on families with children suffering from life-changing illnesses. The Harley Jae Trust provides much needed support for anybody affected by such circumstances. The team set off in good spirits which were not dampened even when their tents filled with water on a very rainy first night! But the clouds parted the next morning and the climb was exhilarating and successful. Bella had already previously raised lots of money for this cause, and the success of this venture added to the impressive total. 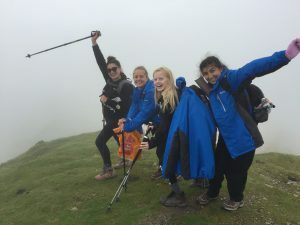 Miss Lynn, the Head of Outdoor Learning, was incredibly impressed by the initiative and determination of the girls in arranging the expedition from start to finish. Well done to everybody involved.